Wishing you a joyous Christmas and a new year filled up with peace, love, happiness and all good thingsMagenTech is taking part in this Christmas 2018 with an exciting offer on any purchase. Get 40% discount on any Magento Themes and Magento Extensions and Member Clubs at MagenTech website. This is a limited time offer, so don't miss it out! Especially, you will save 20% our best-selling and hottest Magento and PrestaShop items on ThemeForest. We also have an amazing premium gift for everyone who purchases our theme on this festive. Let's find it at the end of this blog post. 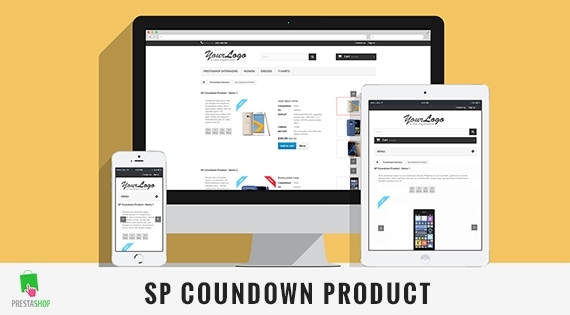 SP Countdown Product is a stunning Prestashop module that displays products with specific price. The module allows you to get product from any categories and order the product by New Product, Product Name, ID, Price and Best Selling Products. The awesome festive is coming! To warm up the Thanksgiving, Black Friday and Cyber Monday season 2017, we're preparing something unique, significant and exclusive gift for you! From 23rd to 28th November 2017, we're happy to offer incredible 30% DISCOUNT on any Magento products, membership clubs and renewals on our store. Furthermore, you will also save 20% on our most popular Magento and PrestaShop Themes on ThemeForest. Especially, if you purchase any themes at MagenTech or join our theme clubs during this event, you will get the exclusive gift ($29 value) for FREE. Let's scroll down to get more details! Easter, which celebrates Jesus Christ’s resurrection from the dead, is Christianity’s most important holiday. To welcome this special holiday of the year, we are organizing a Big Promotion of Magento and PrestaShop Themes for all our honored customers. Let’s bring all of these wonderful theme to your store because we just do it once a year. Time for discount is just in one week from 14/4 to 21/4. Let’s read following information to take the theme you like! After 4 months of planning, preparation, design and building, we are pleased to announce that we are going to open our Membership Clubs again today. To celebrate a very special day - MagenTech would like to offer you a big discount with 30% OFF on all products and membership clubs. This special offer starts on Tuesday, March 14th and ends on Wednesday, March 22nd. We highly suggest you renew your memberships because you can get up to 55% OFF on the top of regular renewal. Lunar New Year 2017 is knocking your doorsteps! Lunar New Year is one of the most important traditional holidays in our country. To celebrate the most special holiday, Magentech would like to give you a big deal of 40% OFF all our products including Magento Extensions and Magento Themes at MagenTech Store and 35% OFF all Magento Themes and Prestashop Themes at ThemeForest Stores. The special offer starts on January 25th and ends on February 1st, 2017 so don't miss out! Halloween is coming! Are you ready for the upcoming Halloween? In this evil holiday, MagenTech has a special discount with scary 40% OFF on any premium Magento themes, Magento extensions at MagenTech and all items including Magento Themes, WordPress Themes, OpenCart Themes and Prestashop Themes at the ThemeForest Store. The Halloween treat promotion will be available from Tuesday, October 25th and expires on midnight October 31st (UTC+7:00) - 7 DAYS only! So do not miss this incredible discount offer! Easter of this year falls at the end of March. As an annual, are you preparing sweets, cakes and chocolate? Magentech wishes you and your family a blessed and wonderful Easter full of peace, love and happiness. In this wonderful holiday, Magentech would like to give you a 35% discount on any premium Magento themes, extensions and membership clubs. This fantastic promotion starts on Thursday, March 24th and ends on Tuesday, March 29th (UTC+7:00) - 5 DAYS only! So do not miss this incredible saving! Lunar New Year is coming to town! This is one of the most important holidays in our country to welcome a New Year with new good things. We would like to thank you for contributing to our success over the past year with an incredible gift. Start from February 5th, 2016, you will get Pro Magento Extension Bundle ($185 Value). Besides, if you buy any our Magento products on our site, you will get 30% discount, that includes themes, premium modules and services.